WASHINGTON—China and Thailand clearly are dumping and subsidizing rubber band imports to the U.S., Alliance Rubber Co. argued in its final pitch to the International Trade Commission for antidumping and countervailing duties against Chinese and Thai imports. "We don't win business on price, but we're certainly losing it on price," said Jason Risner, director of business strategy at Hot Springs, Ark.-based Alliance, at the Nov. 13 public hearing at ITC headquarters. Rubber band importers are undercutting Alliance's prices by half, Risner said. The sole voice against Alliance's petition at the hearing was Timothy Nelson, owner and president of Chicago-based Encore Packaging. Speaking strictly from the packaging end of Alliance's business, Nelson said, Alliance is simply not attending important packaging industry shows or establishing a presence in that area. "Any business we have taken from Alliance is the business we've earned via hard work," Nelson said. Alliance petitioned the ITC in January 2018 under Sections 701 and 731 of the Trade Act. 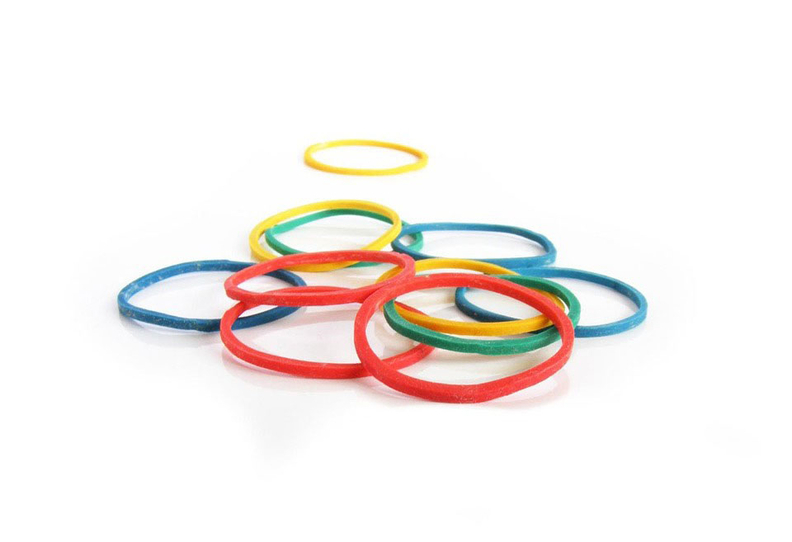 In its petition, Alliance accused China, Thailand and Sri Lanka of selling their rubber bands in the U.S. at less than fair value and subsidizing their rubber band producers. The ITC discontinued the investigation of Sri Lankan rubber band producers this past March, but voted to continue its investigation of Chinese and Thai producers. In July, the U.S. Department of Commerce issued preliminary countervailing duties of 125.77 percent against Chinese rubber band imports. Against the Thais, however, they found only de minimis subsidies of 0.23 percent against Liang Hah Heng International Rubber Co. Ltd. and 0.37 percent against U Yeng Industry Co. Ltd. In September, Commerce issued preliminary antidumping duties of 5.86 percent against U Yeng and all other Thai rubber band producers except Liang Hah Heng, against which it found zero antidumping duties. Commerce also determined that critical circumstances existed in the case of Chinese imports, meaning that duties could be imposed retroactively. At the Nov. 13 hearing, Alliance representatives said Chinese and Thai rubber band importers have "consistently and significantly undersold" Alliance. Above all, Alliance lost one of its major accounts, with the office supply chain Staples, in 2017 because of underbidding by Thai importers. Alliance had the Staples account for years and had no reasonable expectation of losing that business, according to Alliance President Bonnie Parker Swayze. The company built a 20,000-sq.-ft. warehouse in expectation of keeping the Staples contract, according to Swayze, but the warehouse now sits empty. Because of losing the Staples business, Alliance also can't pay its 171 employees the semi-annual bonuses it traditionally paid, according to Swayze. "The reason for a bonus is to make sure that everyone pulls together as a team," she said. "With bonuses, you have the opportunity to keep your good people. How can we hope to attract and retain good people when the volume keeps going down?" From a high of 26 million pounds of rubber in 1995, Alliance now processes only 14 million pounds annually, according to Swayze. The company is operating only at 55-percent capacity, compared with 90 percent a few years ago, she said. In response to Swayze and Risner, Nelson said Encore had lost business to Alliance because of pricing, and also that Alliance imports some of its products from overseas. "Alliance took my biggest rubber band account a couple of years ago," he said. "They came in, undercut my prices and took my business from me." Nelson also said he has never been able to afford bonuses for his employees. The ITC is scheduled to make its final determination on Chinese rubber band imports Dec. 28 and on Thai imports March 4, according to a Commerce Department fact sheet.